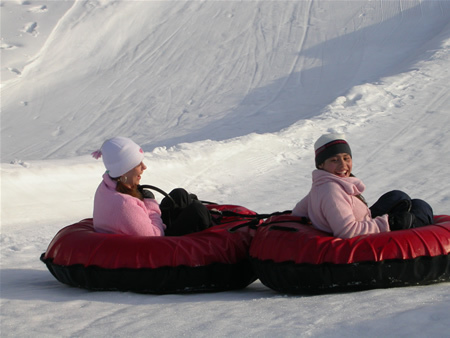 If you’ve never experienced the thrill of tubing, you’ve got to try Sawmill’s slide! You’ll scream down a seventy foot drop and keep sliding. 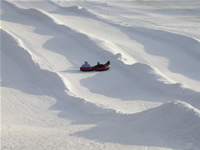 Your trip will take you the length of close to two football fields and help you to experience the best in winter fun. 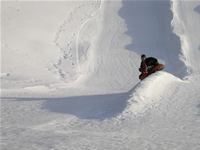 Sawmill’s Tube Slide features 3 runs, one lift, and a powerful snowmaking system to ensure a great ride. Our Tube slide is first come first serve so if you want to get in come early!. We only sell so many tickets an hour to ensure your safety and fun. We always get everyone in! **Children 10 and under are required to wear a helmet. We rent helmets here at the resort or you can bring your own bike helmet from home! ***Below is the tubing waiver. If you download, print, and fill out prior to coming it will save you some time when you get here.